Disclosure: I received complimentary products to use in this post. All opinions are my own. 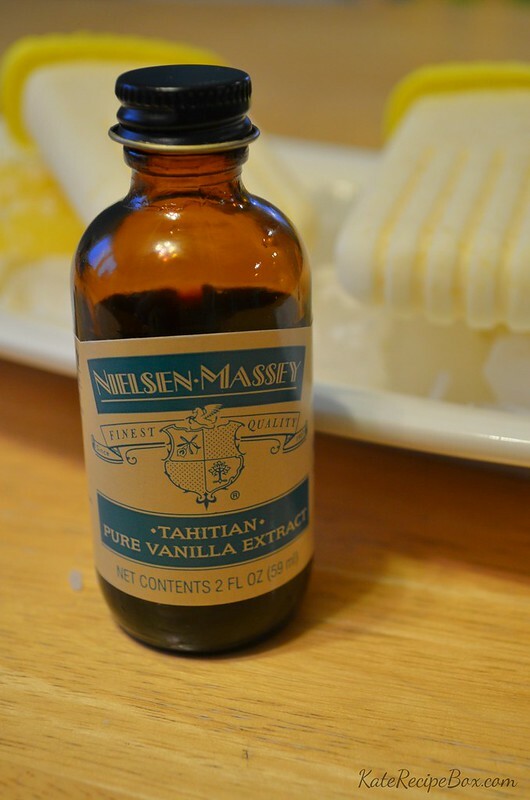 Today’s cookie recipe is my unexpected favorite of the week – and features #ChristmasCookies week sponsor Nielsen-Massey Fine Vanillas and Flavors. 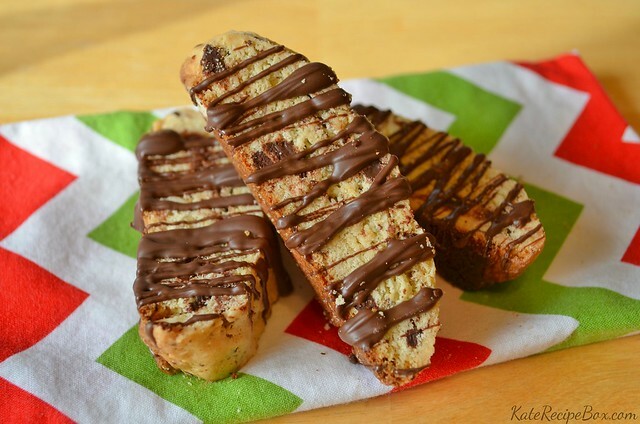 This biscotti is amazing – even if you’re not a biscotti fan, you need to try this! There is such an awesome flavor here – thanks, in large part, to the Nielsen-Massey products – and they pair just delightfully with coffee, tea, and hot chocolate. A small bag of these paired up with some K-Cups would be an amazing teacher or neighbor gift this season! Nielsen-Massey Fine Vanillas & Flavors is giving one winner a set of their pure flavors: 2-oz each of Orange, Lemon, Peppermint, Almond, Chocolate, Coffee, Rose Water, and Orange Blossom Water. Enter below! 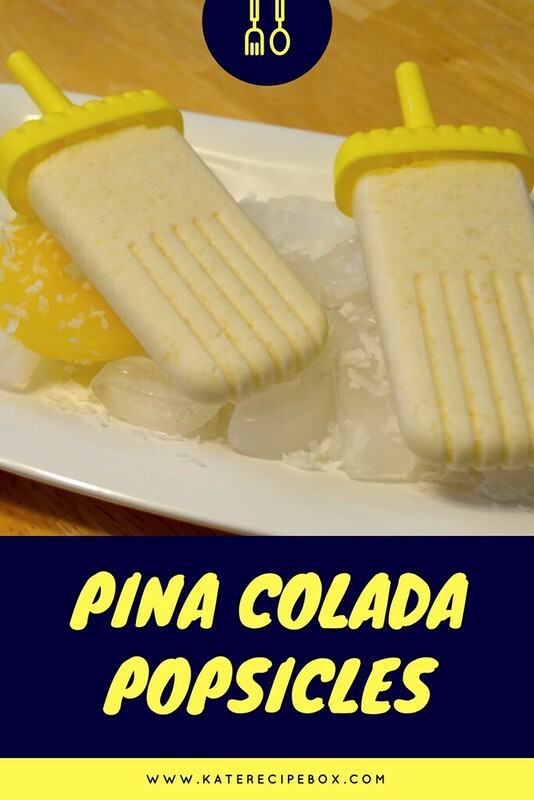 Whisk together the flour, slat, and baking powder until well combined. 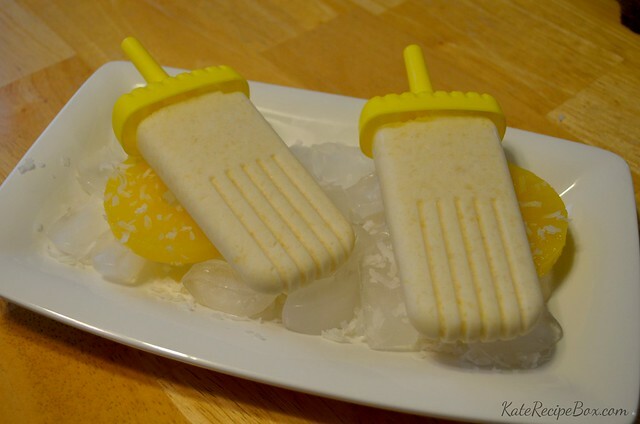 In another both, whisk the butter, sugar, eggs, vanilla, and almond extract together until completely combined. Add the dry ingredients to the wet and stir until the dough comes together. Fold in the sliced almonds and chocolate. Knead the dough for a minute or two, until it comes together well. If too sticky, add another Tbsp. of flour. For them dough into a log approximately 4″ wide and 1 1/2″ high. Bake for 35 minutes, than remove to cool and reduce oven to 300 degrees. When it has cooled for about 15-20 minutes, use a serrated knife to slice the log into 1/2″ slices and place, cut side down, on a parchment-lined baking sheet. Cook for an additional 15 minutes, flipping halfway. Melt candy melts according to package directions. Drizzle over biscotti and cool completely.